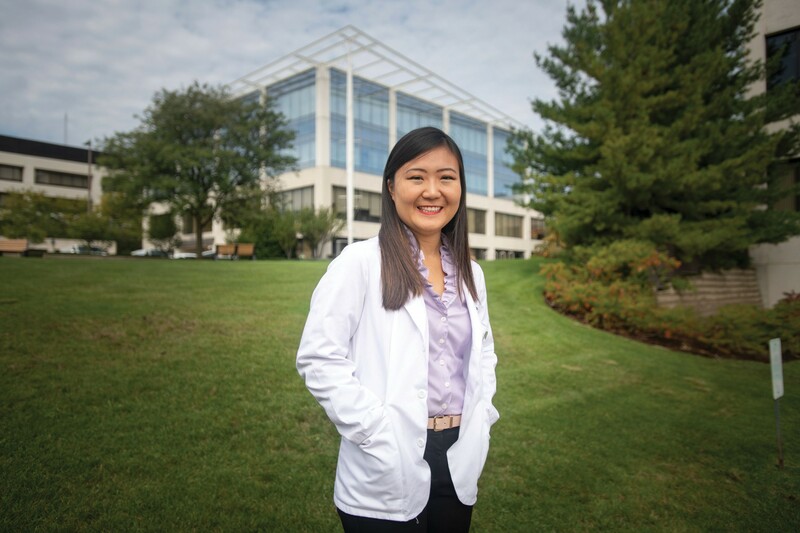 Jennifer So, SCPM ’21, is co-founder and chief medical consultant for the startup KEYQO LLC. A student at Dr. William M. Scholl College of Podiatric Medicine works to develop a more secure and user-friendly EHR. A first-generation American from Orlando, FL, Jennifer So, SCPM '21, served as her grandfather's medical interpreter during his long battle with Type 2 diabetes. Medical treatment saved the South Korean immigrant from tuberculosis, but it could not save him from the development of hard-to-heal wounds and, ultimately, lower extremity amputation. 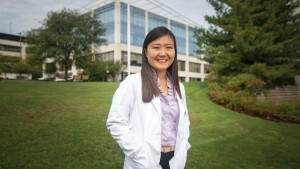 "My experience drives me to help other people," said Jennifer, who intends to specialize in wound care and research and who, while spending long hours of study and service at Scholl College, is also making time for conversations with potential investors as co-founder and chief medical consultant of KEYQO, LLC (formerly known as HealthHeart). The startup is designing next-generation healthcare IT products, including a podiatry-focused EHR, based on the decentralized blockchain technology popularized by the cryptocurrency, Bitcoin. KEYQO's 2017 prospectus outlines a system built for "intuitive usability and functional workflows" and, through the blockchain's digitally distributed ledger, records each and every clinical transaction, including prescriptions, diagnostic tests and outpatient visits. "Current EHRs are running on outdated programming languages and data models that are 50 years old," Jennifer said. "Hackers see the centralized model as a big bank vault. All the information is stored in one place and they can take their time to figure out how to break in. Blockchain does away with the single vault. It acts as a sort of neighborhood watch, which secures data but makes it accessible to everyone who needs it." Data theft continues to grow, notes KEYQO, and health care sustains the highest per capita cost per breach among all industries, with 224 such breaches reported for the first seven months of 2018, according to the Office for Civil Rights of the Department of Health and Human Services. As blockchain continues to emerge and evolve to overcome barriers around speed and computing power, a growing number of companies and agencies across sectors, including the Centers for Disease Control and Prevention, are investing in the technology. Health systems and private practices are looking to more effectively share and secure patient data and records — as providers continue to move to care coordination among multiple clinicians. "When we have ideas that can improve care, lower costs and repair trust that's been lost, we need to pursue those ideas," Jennifer said. "When technology is in the right hands, it can be used to solve problems and accomplish great things."